The psychological thriller, by Yixi Sun, follows student Qi’an (played by Chinese actress Zitong Wu) who works as a film translator in a secluded English mansion. As she works with her best friend, she discovers gruesome family secrets, and also uncovers the truth behind the life of opera star Susu. 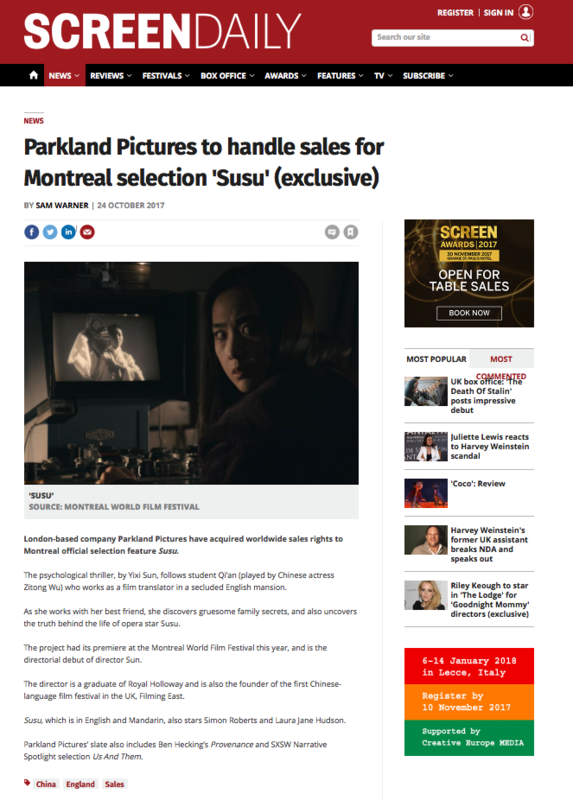 The project had its premiere at the Montreal World Film Festival this year, and is the directorial debut of director Sun. The director is a graduate of Royal Holloway and is also the founder of the first Chinese-language film festival in the UK, Filming East. Susu, which is in English and Mandarin, also stars Simon Roberts and Laura Jane Hudson.